Griffin, IN. 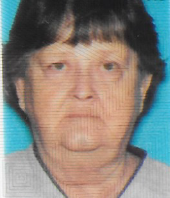 – Carol I. Leach, 70, of Griffin, Indiana passed away on Sunday, March 24, 2019 at her home after a cancer illness. She was born on March 13, 1949 in Mt. Carmel, Illinois, the daughter of William Alvis and Doris (McClane) Randall and adoptive mother Nadine Mobley Malone. She is preceded in death by her parents and loving mother Nadine; also the love of her life, husband, Phillip D. Leach. They were married almost 50 years. Their marriage produced no children, but she loved all children. She had three step children, David R. Leach, Caroline Courtney, Mary Jane Hammond; grandchildren, great-grandchildren, the Wilson Crew children, and grandchildren she loved like her own. Carol was a loving person, a great friend, and loved the Lord with all her heart. Carol will be cremated and buried with her husband in Mt. Pleasant Cemetery. A special thanks to Poseyville Christian Church for their loving treatment of her in her final days, and to her cousins that made her last days much better. Also a special thanks to Deaconess VNA Hospice for their loving care, and the cards that made her last birthday the best she could remember. Evansville, IN. 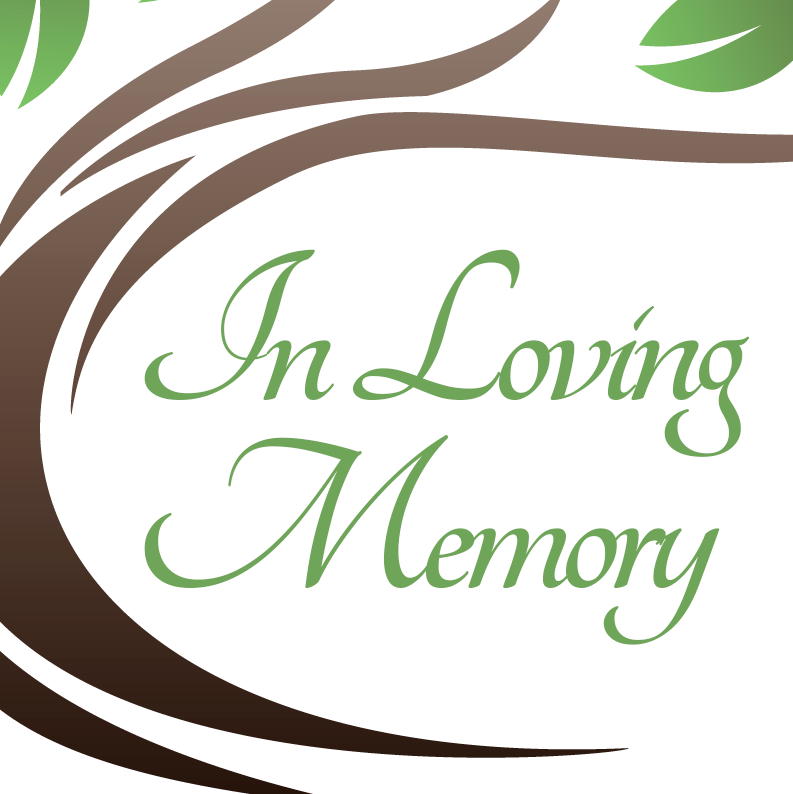 – Deanna Kay Dixon, 60, of Evansville, Indiana passed away on Wednesday, April 17, 2019 at the Golden Living Center, Woodlands in Newburgh, Indiana. Deanna was born on March 27, 1959 in Evansville, Indiana to the late Charles and Alvina Welch. She is survived by her children, David Dixon, Daniel Dixon (Sara), Tiffani Durbin; grandchildren, Skyler, Shyann, Serenity, Shayla, Savion; great-grandchildren, Zabion, Phoenix; siblings, Jerry Welch (Roberta), Dorothy Kissel (Gary); special friend, Peggy Baker; several nieces and nephews. Evansville, IN. – Eleanor “Ellie” Ann Rausch, 80, of Evansville, Indiana passed away on Thursday, April 18, 2019 at Deaconess Gateway Hospital in Newburgh, Indiana. Eleanor was born in Evansville, Indiana on June 23, 1938 to the late George Tomuel and Eugenia (Shouley) Brown. She is survived by her children, Darwin Rausch Jr. (Stephanie); Rick Rausch (Krista); grandchildren, Morgan, Connor, Aaron, Stephanie; great-grandchild, Bo; sister, Karen; several nieces and nephews. A celebration of life will be held at a later date. He was retired from the International Brotherhood of Boilermakers after 35 years of service with Local 374 out of Hammond, IN. Riding his Harley-Davidson motorcycle was his greatest joy besides his kids and grandkids. He also enjoyed building and fixing things and occasionally fishing. Ralph was preceded in death by his father Ralph, father-in-law Elvis Straw of Owensville, sister Jana West of Tuscon, Arizona, brother-in-law Mike Straw of Owensville and great grandson Curtis Robinson. 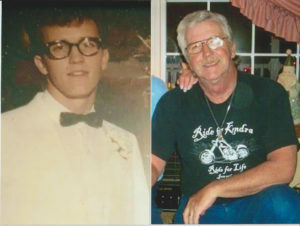 He is survived by his wife of nearly 55 years, Linda and children, grandkids Adam (Kayla) Robinson of Owensville, Jacob (Jaci) Wade Of Evansville, Kyle (Leandra) Wade of Newburg, Kameron Wade of Owensville, Noah Wade of Fort Branch, CJ Sparacino of Owensville. Great grandkids Tyler Martin, Izaac Krutsinger, Myah Bigge, Wyatt Wade, and Ember Wade. Simple Cremation of Evansville is handling final services. A private gathering will be held at a later date. A special thanks goes to Heart to Heart Hospice for their care during this difficult time. 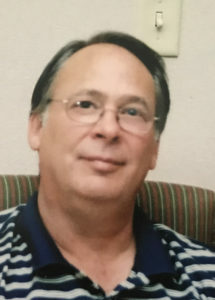 Evansville, IN – Thomas Richard Theis, Evansville, Indiana, age 67, went to be with His Lord and Savior Saturday, April 13 2019. He is survived by his loving wife of 46 years, Jane, his son Thomas, his daughter, Amanda, (Son-in-Law Micah), 3 Grandkids, Isaac, Hannah, and Eli, his brother Timothy, and sister, Pam. Tom was preceded in death by mother Mary Helen, Father E. Fred Sr. and brother, E. Fred Jr.
Tom was a loving husband, father, and grandfather who enjoyed spending time with his wife, playing golf, fishing with his grandkids, watching IU basketball, Notre Dame Football, drinking a HOT cup of coffee, taking an afternoon nap and searching for things on Google. Therefore “Hey Google” was a common phrase of his. Tom was a jack of all trades and had an inventor’s mind that was always looking to improve things. He had a sense of humor and kept everyone laughing all the way until the end. However, with all of the above being said, the thing that was most important to Tom was his faith. In September of 1981 Tom’s heart and eyes were open to the revelation that Jesus died on the Cross for his sins. Upon that revelation, Tom submitted Lordship of His life to Christ and has been serving Him faithfully ever since. Along his journey of faith, Tom has always had an extreme devotion to the reading and studying of the Word of God, and therefore studied it diligently. Visitation will be held at Word of His Grace Church at 2807 Stringtown Road on Thursday, April 18 from 5-7:30 with a short service to follow. 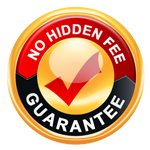 Simple Cremation Evansville is entrusted with care.